The Accutower Media Plus Duplicator is four duplicators in one! With options for disc to disc, USB to USB, memory card to memory card, or disc to USB or memory card, you have the flexibility to copy different types of media storage on demand! Multi-session and disc spanning capabilities are also included. Why get four different types of duplicators when one will do the trick? When it comes to media storage and duplication, consider the Accutower Media Plus Duplicator your one-stop shop. This top of the line machine has the power and flexibility to handle all your duplicating needs! 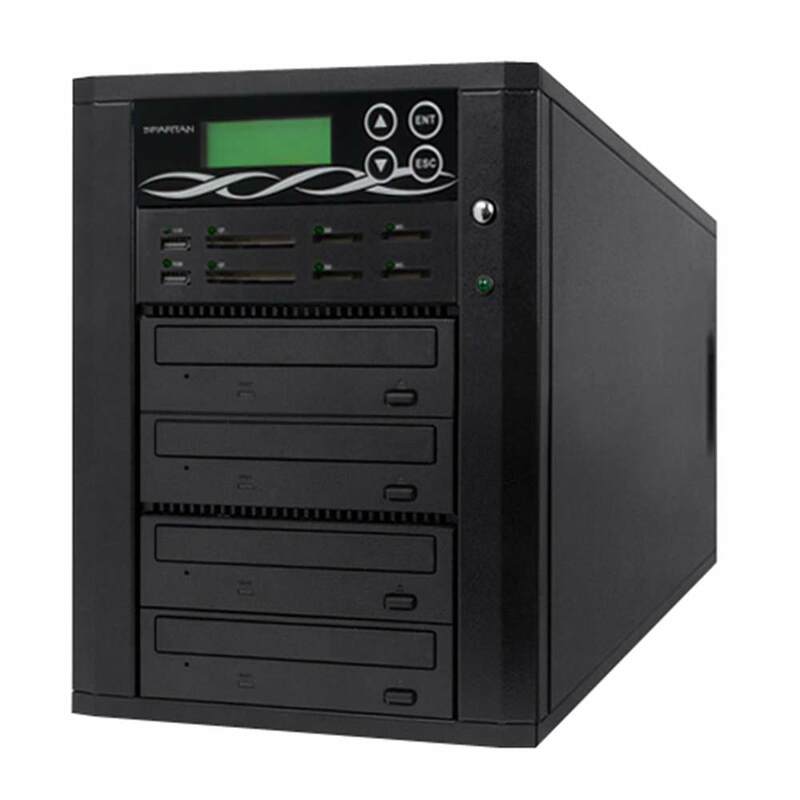 The Accutower Media Plus Duplicator offers options for disc to disc, USB to USB, memory card to memory card, disc to memory card, or disc to USB! With this Accutower model you’ll have the ability to copy any of these types of media storage on demand! Why wait for someone else to do it when this machine can offer you the freedom to do it yourself? Think of all the time you’ll save with your very own state of the art duplicator. And with multi-session and disc spanning capabilities also included, the Accutower is a digital workhorse that won’t wear out on you. The Media Plus Duplicator is a stand-alone operation- no PC required! It needs no accessories, no additional machinery: Once you’ve got your Accutower Media Plus Duplicator set up, it doesn’t need any help to get the job done! ** Actual write speed depends upon media and drive specifications. Specifications are subject to change without notice.